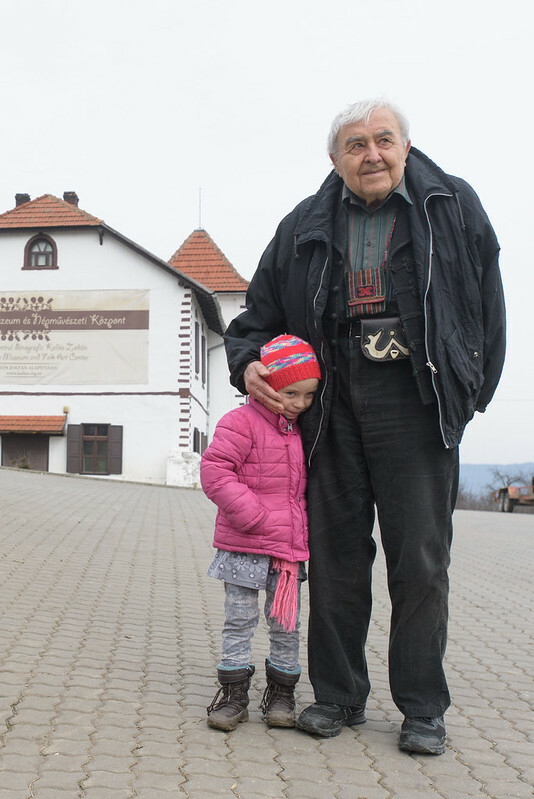 Mr. Zoltán Kallós is one of the most prominent and successful Hungarian folklore collectors of the 20th century. His collections have encompassed tangible and intangible elements of the Hungarian, Romanian, Saxon and Roma communities of Transylvania and have proved invaluable to the preservation of European folk culture. Mr. Kallóshas devotedly compiled this collection over the last 70 years, aiming to conserve not just the physical evidence of this rich culture but also the songs, poems, dances, customs and folklore which form the basis of so much of our European identity. He continued these efforts in spite of the difficult surrounding political circumstances and personal sacrifices that he was to make. Mr. Zoltán Kallós has achieved this in publishing numerous tapes, CDs and film footage of his work, along with authoring several books of folklore which he has collected. Some 14,000 songs which have been collected by Mr. Kallós are preserved at the Ethnographic Institute of the Hungarian Academy of Sciences, the Hungarian Heritage House of Budapest and at the Zoltán Kallós Museum and Foundation, which was founded in 1992 on his family’s estate. Mr. Kallós has worked tirelessly to pass these traditions of music, dance, storytelling and craft to younger generations. He was instrumental in the development and advancement of the Táncház movement which was established to revive and teach Hungarian dance traditions to Hungarian communities in several European countries. In recognition of its safeguarding efforts, UNESCO enlisted the Táncház movement in its ‘List of Intangible Heritage of Urgent Safeguarding’ in November 2011. “Mr. Kallós has worked hard to preserve the culture of these communities, and has succeeded in having it recognised on a global level with its UNESCO status”, said the jury. At this later stage of his life, Mr. Kallós remains active in his community and his Foundation ensures that training is provided for teachers who in turn pass on this important legacy. “Mr. Zoltán Kallós has dedicated his life to the preservation of the culture of diverse groups in the Carpathian basin and has been utterly committed to its transmission across the world. Mr. Kallós has done so even in times of profound adversity. His courageous work is most deserving of this Award”, stressed the Jury.